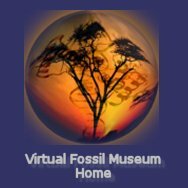 Most major animal groups appear for the first time in the fossil record some 545 million years ago on the geological time scale in a relatively short period of time known as the Cambrian explosion. Of great worry to Darwin, the explanation of this sudden, apparent explosion persists as a source of numerous major debates in paleobiology. While some scientists believe there was indeed an explosion of diversity (the so-called punctuated equilibrium theory elaborated by Nils Eldredge the late Stephen J. Gould - Models In Paleobiology, 1972), others believe that such rapid acceleration of evolution is not possible; they posit that there was an extended period of evolutionary progression of all the animal groups, the evidence for which is lost in the all but nonexistent precambrian fossil record. Early complex animals in the Paleozoic may have been nearly microscopic. Apparent fossil animals smaller than 0.2 mm have been found in the Doushantuo Formation, China, forty to fifty-five million years before the Cambrian (Chen et al. 2004). Much of the early evolution could have simply been too small to see, much less preserve. Modern molecular technologies (genomics and other omics), through comparing nucleic acid and amino acid sequences across living species, are enabling the identification of genetic components and patterns stingily conserved by evolution, from those in which times of evolutionary branching of the tree of life can be inferred. The theory of the Cambrian Explosion holds that, beginning some 545 million years ago, an explosion of diversity led to the appearance over a relatively short period of 5 million to 10 million years of a huge number of complex, multi-celled organisms. Moreover, this burst of animal forms led to most of the major animal groups we know today, that is, every extant Phylum. It is also postulated that many forms that would rightfully deserve the rank of Phylum both appeared in the Cambrian only to rapidly disappear. Natural selection is generally believed to have favored larger size, and consequently the need for hard skeletons to provide structural support - hence, the Cambrian gave rise to the first shelled animals and animals with exoskeletons (e.g., the trilobites). With the innovation of structural support, the early Cambrian period also saw the start of an explosion in the size of many animals. The Cambrian Explosion is the outcome of changes in environmental factors leading to changes in selective pressures, in turn leading to adaptive diversification on a vast scale. By the start of the Cambrian, the large supercontinent Gondwana, comprising all land on Earth, was breaking up into smaller land masses. This increased the area of continental shelf, produced shallow seas, thereby also expanding the diversity of environmental niches in which animals could specialize and speciate. The debate persists today about whether the evolutionary "explosion" of the Cambrian was as sudden and spontaneous as it appears in the fossil record. The discovery of new pre-Cambrian and Cambrian fossils help resolve the debate, as these transitional fossil forms support the hypothesis that diversification was well underway before the Cambrian began. More recently, the sequencing of the genomes of thousands of life forms is revealing just how many and what genes and the proteins they encode have been conserved from the Precambrian. The explosion of external form (the phenotype) in the fossil record is what we see now, but more gradual adaptation was taking place at the molecular level (the genotype). Wang et. al. (1999) for example, recently conducted phylogenetic studies divergences among animal phyla, plants, animals and fungi. These researchers estimated arthropods diverged from more primitive chordates more than 900 million years ago, and Nematodes from that lineage almost 1200 million years ago. They furthermore estimated that the plant, animal and fungi Kingdoms might have split split from a common ancestors almost 1600 million years ago. Finally, they conjecture that the basal animal phyla (Porifera, Cnidaria, Ctenophora) diverged between about 1200 and 1500 million years ago. If their research is valid, at least six major metazoan phyla appeared deep in the Precambrian, hundreds of millions of years before the oldest fossils in the fossil record. Such estimates of ancient divergence times could contain substantial error caused by uncertainty of the molecular clock assumptions, confounding effects of horizontal gene transfer, and errors in estimating sequence homology (i.e., similarlity). Consequently, attempts to date evolutionary branchings with molecular clocks have resulted in widely different estimates among researchers. Despite disparities of estimates of divergence times, broad concensus exists that the developmental control henes such as HOX genes for metazoan body plans was well established prior to the Cambrian. If so, what is called the Cambrian Explosion was the consequence of selective pressures acting on this pre-existing "genomic toolkit". The novel life forms that emerged represent existing genomic material being used in novel ways to control and regulate interlinked cascades of biological pathways during development, resulting in novel body plans and/or finer tuning of existing body plans to changing phyical, chemical and biospheric selective pressures. Only in recent years has science determined that developmental regulation proceeds through a sequential activation of series of regulatory switches that, in turn, activate networks of other genes. These regulatory genes produce proteins that bind to and affect the activity of other genes. The protein products of these genes then activate still other genes, and the cascade continues building an animal cell type by cell type in a distinct order. The best studied regulatory genes are the Hox genes that are so highly conserved as to predate the appearance of animals. 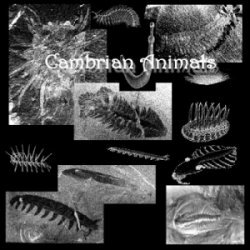 A facinating aspect of the Cambrian Explosion is its apparent speed over some 10 million years. From this it is reasonable to infer that expanded genomic complexity occured much earlier, perhaps over a billion years, prior to the morphological (phenotype) diversity that appeared in the Lower Cambrian. In recent years, research has shown that genomic complexity "happens" in many ways, including duplication and deletion of genes, cascades of genes, and, in complex organisms, entire chromosomes can be affected. Interesting also, is that such geneomic scrambling is an important mechanism in the etiology of cancers in animals. Genomic diversity is, of course, the stuff (a toolkit) on which natural selection operates. The more numerous and complex enviroments and ecosystems provided the varying selective pressures to amplify benefitial mutation (genotypes) within populations, prune detrimental mutations, and otherwise fine-tuning genomes to enhance survival. Such fine-tuning would be different in different ecological niches. Among the famous Lagerstätten from Cambrian time, the Burgess Shale of British Columbia, Canada and Chengjiang Maotianshan Shales, in Yunnan Province, China are the best known, having a great diversity of benthic or burrowing creatures, many of which are soft-bodied, lacking an exoskeleton. Less well known is that the American state of Utah where similar Cambrian creatures are found. If fact, some researchers believe a larger number of species are to be found in the Wheeler and Marjum Formations of Utah than in the Burgess Shale, though the fossils of soft-bodied animals in Utah are far less abundant and limited to relatively few horizons. It is important to remember that geological history contains numerous periods of slow evolution punctuated by periods of rapid evolution, which Steven J. Gould called Punctuated Equilibrium. The rates of evolution generally depend on rates of selection, which in turn depend on rates of environmental change. It also depends upon the existing genomic diversity on which selection acts. Mutation rates tend to be slow and steady, and in the absence of environmental change, slowly accumulate in a population. It is selective pressure that weeds out the mutations that are detrimental or neutral to survival, and retains and applifies the mutations that are beneficial within a population. For a population isolated in a new environment, rapid selection can lead to speciation, and in the Lower Cambrian, to radically new forms that we now group in the Phyla of modern times occured to an unprecedented extent that has never since been repeated. The years ahead should see furtherance of knowledge of how and the timeline along which the Tree of Life branched, especially when proteomes of its many branches are unraveled. In fact, the Tree of Life is a metaphore for what is actual a forest of trees. Still, major mysteries are likely to persist, given the amazing ability of nature to splice, dice, reassemble, swap, amplify, and silence or re-use nucleid acid sequences within the genome of living organisms.